Notechis scutatus are dioecious, meaning the male and female reproductive organs are located on different individuals, rather than both organs being found within one organism (monoecious). They also only partake in sexual reproduction, which causes the formation of a zygote. 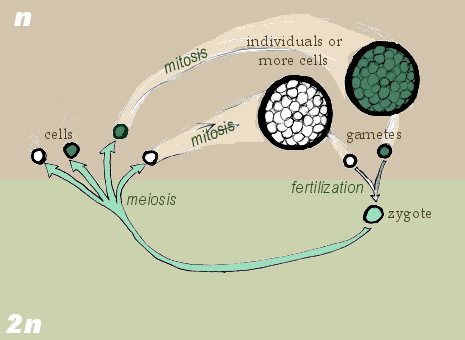 The zygote is caused by the male and female gametes coming together, where they each provide half of their genes to the zygote. In order to find their mates, eastern tiger snakes rely on their sense of smell. The odor compounds, called pheromones, are produced mainly from skin glands located on the backs of these snakes. Based off the odor from the female’s trail, the male is able to not only distinguish the direction of the female’s movements, but whether or not she is ready for sexual activity. If the male comes across a female’s pheromone trail, he will follow the trail until he finds the female. From there, the male will begin courtship routines, which includes the male typically crawling over the female and rubbing or tapping his chin on the female’s head region. This contact between the male and female stimulates the female to accept the upcoming sexual activity and when she is receptive, the female raises her tail. The male then quickly wraps himself around the female and positions his tail so each opening, or vent, of their cloacae come in contact. The cloaca is a region within reptiles, including snakes, where the intestinal, urinary, and genital system ducts open into. The male possesses paired reproductive organs, called hemipenes, that are located at the edge of the vent on either side of the base of the tail. Once the cloacae between the male and female meet, the male inserts one of hemipenes into the female. Eastern tiger snakes are known to mate for up to 7 hours. Notechis scutatus are ovoviviparous, simply meaning that the females hold the eggs in their stomach until hatching time. At this point, the mothers proceed to give birth to their live young. In contrast, some female snake species within the Elapidae family are oviparous, meaning that they produce eggs that eventually hatch outside the body, rather than inside the abdomen. 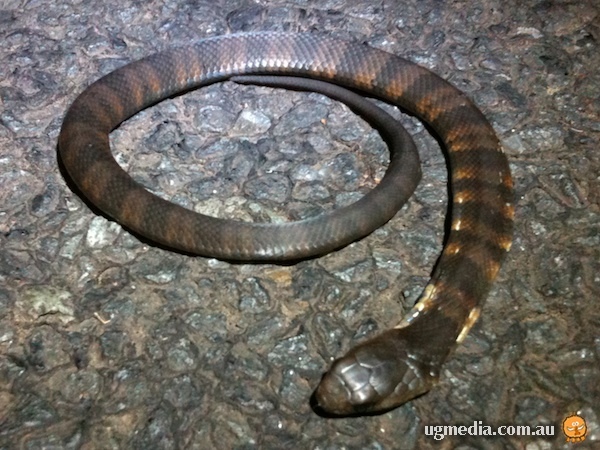 Eastern tiger snakes produce large litters in late summer or early autumn. These litters usually range from 10-30 young snakes, but size depends on the mother’s body size. At birth, snakes are around 10 cm in length. Also, no maternal care by the female mother mainland tiger snake is provided to her young upon birth. Females typically produce young every other year. Now that we have an understanding of this species keeps its generation going, let's if it has any friends or enemies. Click here to learn about its interactions with other animals or head back to the home page.